I was out shopping the other day for some festive autumn items to decorate the house for fall/Halloween and guess what I ran into? I turned the corner of an aisle and ran smack dab into Christmas stuff. Yes, the wrapping paper and decorations are already starting to hit the shelves. One of the mainstays of any home during the Christmas holidays is of course the Christmas tree. I have fond memories of Christmas and the giving that surrounds the season. It meant so much to my family growing up, seeing all the love and laughter shared around the Christmas tree as we exchanged gifts. I will say a nicely decorated Christmas tree adds to the festive nature of the season. And of course trimming the tree is also the perfect opportunity to get the family together and share some quality time. Our kids love the opportunity to put all the decorations on the tree, meticulously placing them so they are spread around just right. However, it can also get a little bit costly at a time when you’re pinching pennies for those last minute presents. Luckily, there are a few handy hints and tips to get your tree looking fabulous for less, letting you focus your budget on putting more things under the tree instead of on it! Here are some things that will help you decorate your Christmas tree without breaking your budget. I’ve found these are also great ways to get kids involved. They will love making these decorations! Simply pop some popcorn, thread a needle with some fishing line and get stringing those kernels for a tasty cheap garland. And as an added bonus, if you have any left, just pop a movie on and you’ll have a ready-made snack. Looking to add some color? Just mix your popcorn with cranberries for a festive burst of red! Paper chains are another fun and affordable arts & craft activity to decorate your Christmas tree. Just cut up some colored paper, or left over Christmas cards, into long strips and tape them together to form chain links. The beauty of this is that you can also pick your paper colors to compliment your home décor! Pine cones are an item that can be scavenged when out for a walk in the countryside and are excellent additions to any Christmas tree. Nestled in amongst your tree’s branches these little cones can give even the most artificial of trees that authentic tint. Or, for added color, dip them in gold paint for a lovely glow. For a sparkly effect use a mixture of water, glue and glitter. A little forward planning goes a long way when it comes to buying that new artificial tree or decorations. Many retailers, who overstock in the run up to Christmas, have massive clearance sales once Christmas has come and gone. This is the perfect opportunity to stock up on those shiny new decorations at a fraction of the price and store them away ready for next year. So there you have it, a few sure fire ways to ensure you have a beautiful, yet affordable, Christmas tree this holiday period. Just remember to have fun with it. It’s your tree and you get to put whatever you want on it. Follow the suggestions above, or come up with your own quirky inventions to ensure that your Christmas tree is the talk of the family. Questions: What other cost effective ways can you decorate a tree? Do your kids look forward to putting the decorations on the tree? 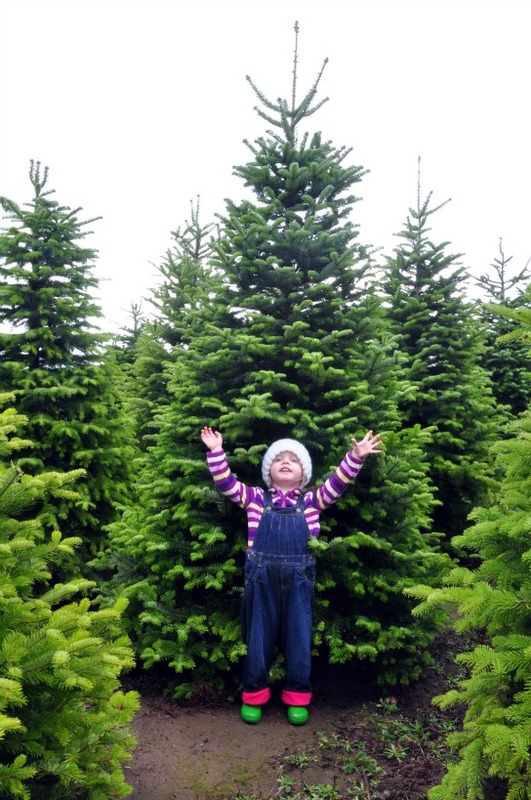 Do you get a real tree every year or use a fake one year in and year out? I use DIY Christmas decorations and recycle what I had in the previous years, something that is still usable and looks still good. I agree decorating Christmas tree doesn’t have to be expensive. It just needs some creativity. I never have to spend much to decorate my Christmas tree. I have years of ornaments saved up. I do remember stringing popcorn and red and green paper chains when we were kids. It’s fun to get the kids involved in creative ways to beautiful the tree.